Remedy Oak is one of the most exclusive and desirable courses to open in the United Kingdom in the last decade, boasting a first class championship course that has been created in the most inspiring setting. Course designer John Jacobs was taken by the natural landscape at first glance and he has made full use of the terrain to create a fascinating and enjoyable challenge. 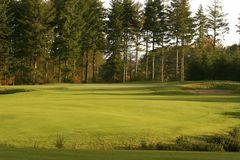 Remedy Oak is perfect for Bournemouth golf tour visitors that are in search of some top class parkland championship golf. Without doubt destined to be one of southern England's premier inland courses, Remedy Oak is an high class golfing experience from the first moment to last. We were well received at Remedy Oak and enjoyed the tremendous lay out of this course. We are all average handicaps and managed to score reasonably well from the white tees. We only saw two golfers on the course!